It’s the age-old PR debate: Should I follow up? And, if so, how soon and how many times? Alexandria Haslam talked to some true PR pros (and a few journalists) to get their best advice on following up. Read her new post on the Muck Rack Blog to find out how they answered the question, Should you follow up with a journalist? Feran quotes Ginger Christ, Plain Dealer News Guild unit chair, who notes, “The damage isn’t just the loss of jobs. It’s the loss of information vital to the life of the city.” As Adam Goldman reminds us, “Local journalism is the heart of American journalism.” (Scroll down in today’s newsletter for just one example of why local journalism matters.) Twenty years ago, The Plain Dealer’s unionized staff of journalists numbered 340. It will soon be reduced to 33. Just for fun, “Imagine the holy hell the GOP would’ve raised if the Obama administration had overruled decisions to deny security clearance to officials who were deemed susceptible to blackmail or foreign influence,” tweets Jim Roberts. Moving on, Craig Newman is feeling totally fine about the latest exclusive from Betsy Woodruff of The Daily Beast, who tells us the Department of Homeland Security has disbanded a group of intelligence analysts who focused on domestic terrorism. Tom Watson files this one under, “Today in the inexplicable.” But hey, “What Nazis?” as Jeff Stein tweets. In a new ProPublica project, Paul Kiel and Hannah Fresques take a look at Where in the U.S. You Are Most Likely to Be Audited by the IRS, and the results might surprise you. Tweets Katie Zavadski, “a poor, rural, mostly black county in the Mississippi Delta seems like an unlikely place for the highest IRS audit rate in America. and yet…” That’s right, a rural county in the Mississippi Delta known for its catfish farms is the most heavily audited county in the country. In a new op-ed for The Washington Post, the paper’s publisher and chief executive, Fred Ryan, reminds us, It’s been six months since Jamal Khashoggi’s murder, and Trump has done nothing. “Sadly, the most submissive figure in this story is President Trump,” he writes. Meanwhile, Greg Miller of The Post reports that Khashoggi’s children have received million-dollar houses in Saudi Arabia and monthly five-figure payments as compensation for the killing of their father. At The Washington Post, Michael Scherer writes that the border surge is putting pressure on Democrats to craft their own immigration solutions. The first 2020 candidate in with a plan: Julian Castro. A new investigation by Joel Schectman and Chris Bing at Reuters reveals that a group of American hackers who once worked for U.S. intelligence agencies helped the United Arab Emirates spy on a BBC host, the chairman of Al Jazeera and other prominent Arab media figures during a tense 2017 confrontation pitting the UAE and its allies against the Gulf state of Qatar. Yesterday, we asked: What was the first daily comic strip published in the U.S.? Bonus points for naming the newspaper that published it. Answer: Richard Outcault’s strip “The Yellow Kid” is often cited as the first true comic strip. He first drew the comic for Joseph Pulitzer’s New York World, but William Randolph Hearst poached Outcault and brought him over to his New York Journal (later renamed The New York American), where the multi-paneled strip featured speech balloons for the first time. That was followed by a lot of back-and-forth rivalry between the papers, et voilà: Yellow journalism was born. Congrats to…Dan Rosenbaum, first to tweet “The Yellow Kid, and” Roberta Rosenberg,‏ who was first to earn those coveted bonus points. Your question of the day for today is…“The Big Bang Theory” just became the longest running multi-camera sitcom, surpassing the 275-episode record set by what show? 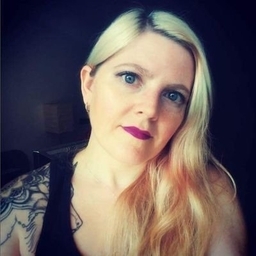 Today’s featured journalist is Jessica Fisher, a New York City-based writer who covers board games, video games, roleplaying games and geek culture. Jess admits that, with a background in cinematography, welding and bartending, she’s a strange mix of talents. She started out writing reviews for an iOS apps website, picked up work freelancing for Geek & Sundry, and graduated on to running Gameosity, a news and reviews site for board games. Read more about Jess and check out some of her work here.